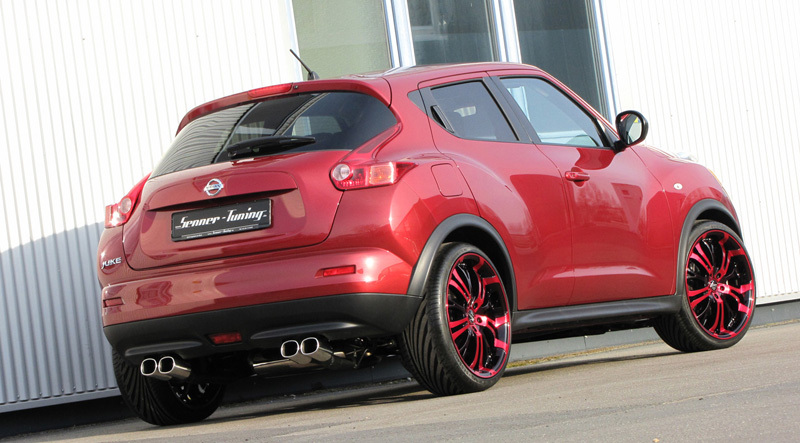 Who needs the Juke R when there’s Senner Tuning Juke? Added performance for $541k less! 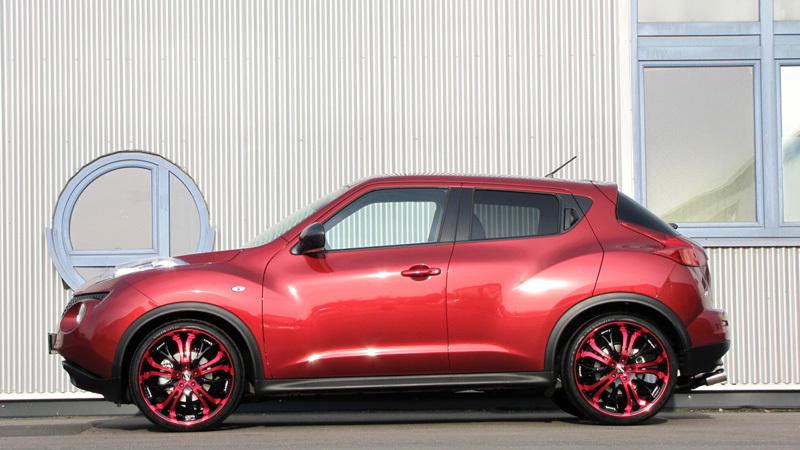 The Nissan Juke is one of those niche models that usually elicit feelings of love or hate. For those that love it, there isn’t really a performance version that or a large range of custom options, except if you have about $600,000 laying around for the GT-R powered Juke R.
Well, Senner Tuning in conjunction with Autohaus Morchel have developed and designed a new Nissan Juke tuning upgrade program for enthusiasts. The Senner Tuning Juke is a nothing near the full-on rebuild that customers can expect from the Nissan Juke R, but offers drivers a satisfying increase in performance and styling for a more enjoyable drive. Unlike the twin-turbocharged V-6 that’s in the Juke R, the Senner Tuning Juke features a tuned version of the 1.6-liter turbo-four. 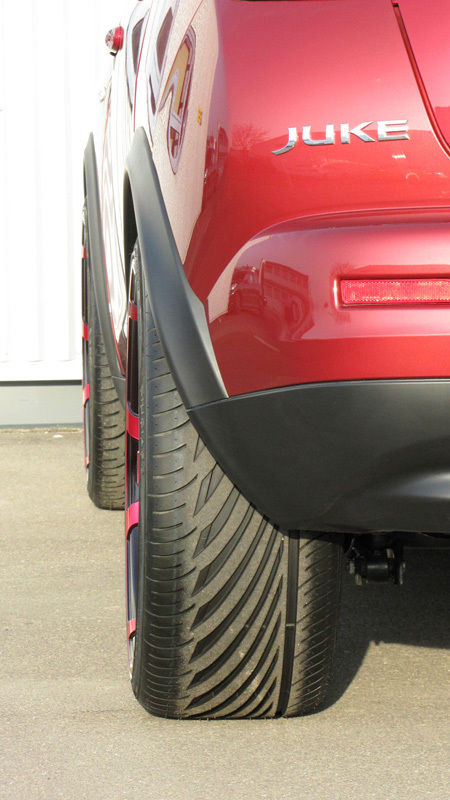 The German company installed a new sports air filter kit and a steel sports exhaust system with quad 90 x 75 mm tailpipes to reduce backpressure. The engine also received a slight tune that helped to improve the throttle response and reduce turbo lag. 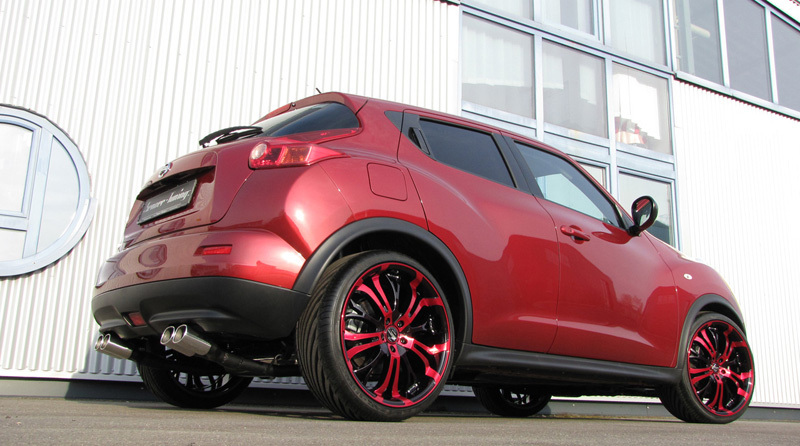 The result of the Nissan Juke tuning was a total of 225 horsepower and 203 lb-ft. of torque; up from the standard 188 horsepower and 177 lb-ft. of torque output. It’s nothing radical, but it improves the overall driving experience and creates a faster, more engaging ride. 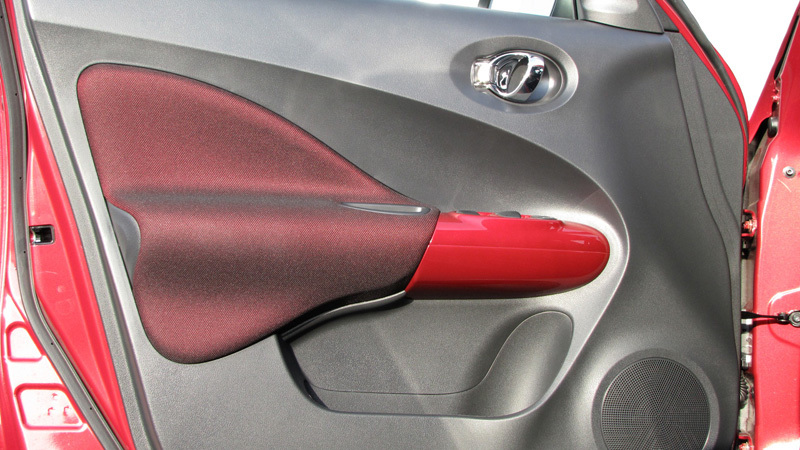 In terms of driving dynamics, the Senner Tuning Juke was given a few upgrades to make it more proficient in the corners. New lowering springs have been added and work in conjunction with the stock shock absorbers to lower the overall center of gravity by 35 mm for better handling. A new set of candy red Barracuda Tzunamee wheels in a 9.0 x 20 fitment were also added to the front and rear axles and fitted with 255/30R20 92Y Vredestein Ultrac Sessanta tires for greater grip and a custom touch. 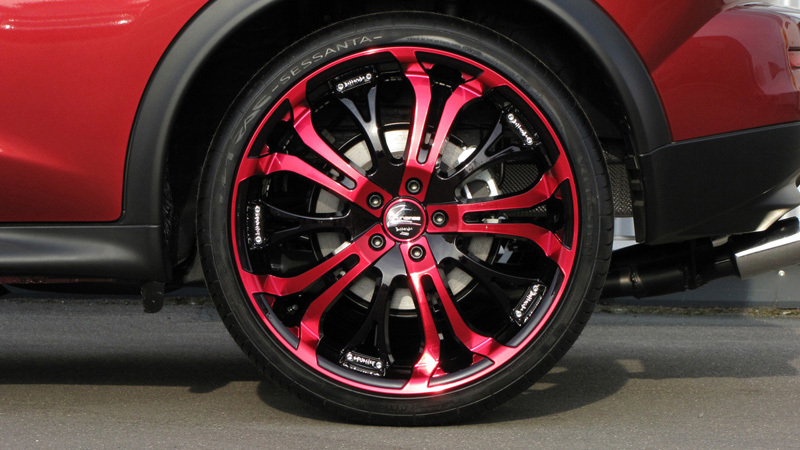 A number of customization options are also available on the Nissan Juke tuning program to make the crossover stand out from the crowd even more so than it already does. 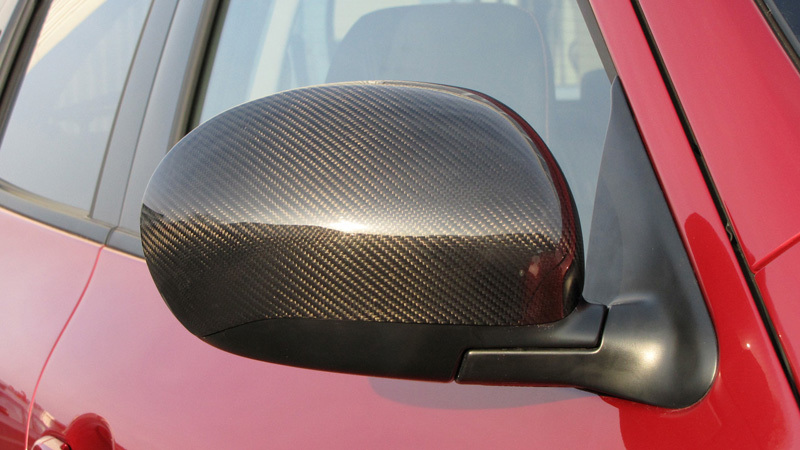 The German tuner offers carbon fiber side mirrors for a sportier look. 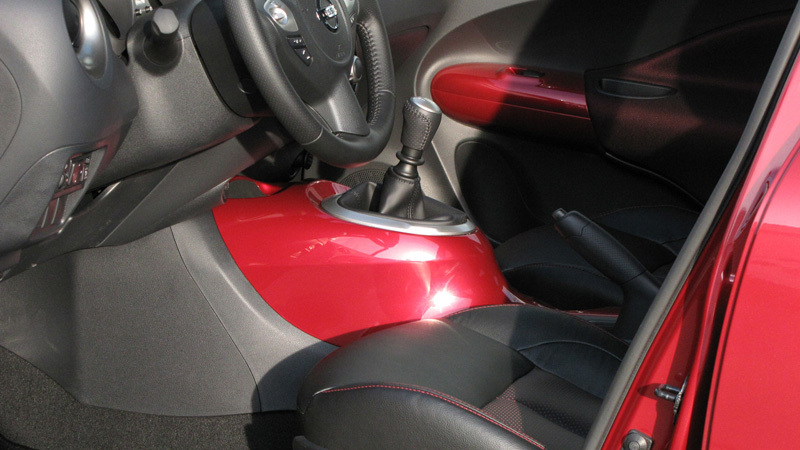 The interior can be fitted with a new center console and door grip frames that are painted to match or contrast the exterior color of the Juke. 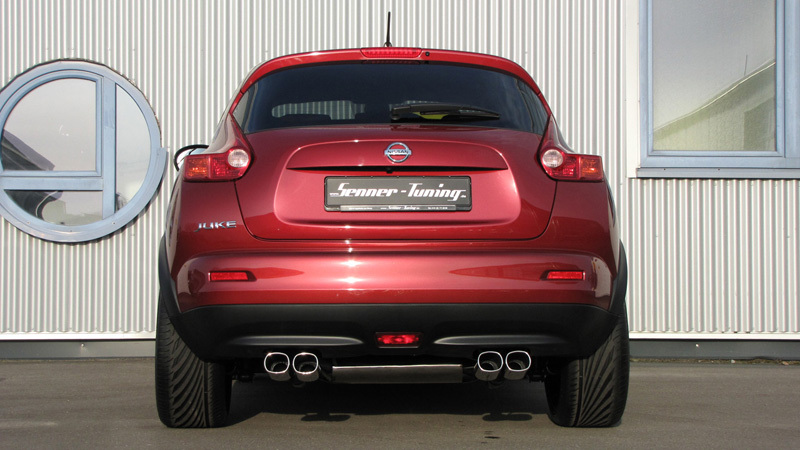 The Senner Tuning Juke is currently available as an entire car for 32,730 Euros (+/- 42,000 USD) or the Nissan Juke tuning package can be purchased for 7,490 Euros (+/- 9,700 USD). 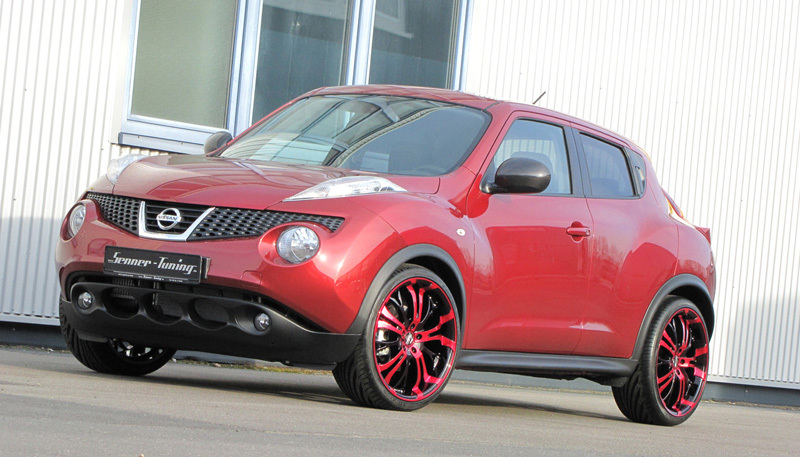 What do you think of the Senner Tuning Nissan Juke upgrades? Leave a comment and let us know!